»Advent-Christmas 2014»Advent Day 9 ~ Where are you going? 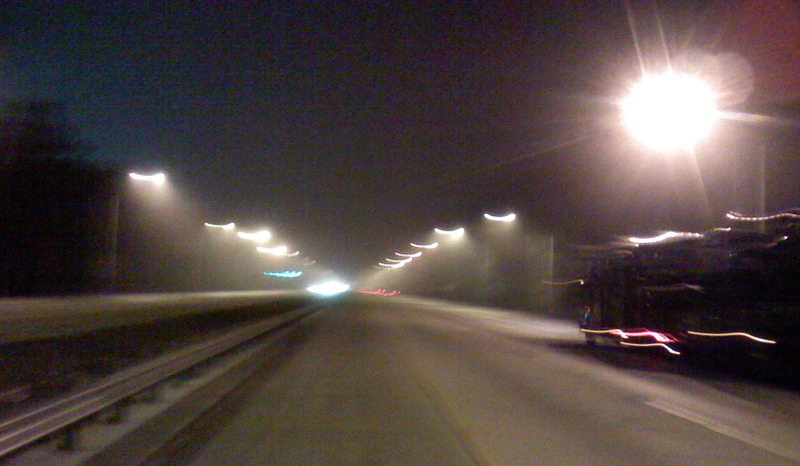 This image was taken on I-95 between St. Augustine and Jacksonville one misty December Sunday morning about 2 AM. I was living in St. Augustine at the time. Here’s another video from Godspell: Where are You Going? Click here. Be sure to turn up your speakers and enter full screen. P. S. Be aware there are some among us who find holidays a time of dread and loneliness. People who have lost a loved one. Families that are broken. Children wo can’t be with both parents for Christmas. families with parents in the military. Keep them in your prayer. And if you know one of them, give them a call or invite them for Christmas dinner.